In the rugged and meager land of Wales, Mary longs to learn more about the Word of God. 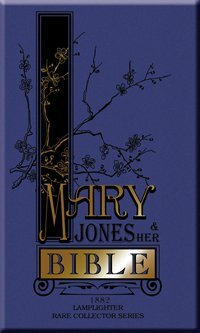 This true story takes place in a town where food and clothing are difficult enough to obtain, but young Mary longs for nothing more extravagant than her own Bible. She determines to labor for six years selling eggs with the singular focus of obtaining the desire of her heart. As a young woman, she sets out to walk the 25 miles to purchase her Bible - barefoot! The earnest dedication of this child and the testimony of her heart were substantially responsible for the founding of The British and Foreign Bible Society in 1804.